It provides the power for your computer, although it is seen as an afterthought for most users, the power supply becomes one of the first elements to be discussed at the time of assembling a Game PC. In this tutorial, you will see tips on how to CHOOSE A SOURCE OF GOOD QUALITY POWER SUPPLY to have no problems in the future. Why you need a new source to mount a "gamer PC"? In rare exceptions, ie only when the consumer has already purchased a "Game PC" or purchase a desktop respected brands, most users are unwittingly buy low quality power supplies. Also known as generic, these sources are not all bad, however, don’t provide exactly what is stamped on its side. In most of the PCs sold at retail is common to find sources ranging from 250W to 300W (Watts). However, these generic sources offer no guarantee that reach this nominal capacity, because many manufacturers expect a consumption of only half of that amount, that is, somewhere between 120W to 200W. These generic sources view problem when the consumer decides to turn his PC into a "game PC", where one or more graphics cards, high performance will be installed. These cards, almost entirely, requiring a higher quality power supply, because the PC components together with the video card, will consume a very close to or even above the capacity of said power supplies 'conventional' . The most common problem occurs when a video card requires a quantity of Watts higher than the power supply can provide. In such cases, the computer may shut down altogether or present several crashes. In some situations, the source can burn, but this is very difficult. 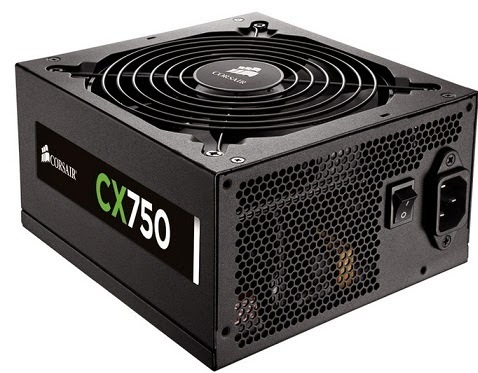 Even to assemble a "BASIC" Gamer PC with a Nvidia Geforce 9500GT (modest by today's standards), you must change a 300W power supply for a minimum 450W real. The first step is careful to be the amount of Watts that the video card you bought or intend to buy, requires. In some cases, vendors recommend reach power supply saying that the minimum supply must be "real 400W". However, always rely on the card manufacturer's information. This information to a simple account: a PC with integrated video card gets to consume no more than 200W, then you need to add that amount to the maximum consumption of the video card, informed by the manufacturer. For example, a popular video card like AMD Radeon R7 240 will consume almost 40 Watts, resulting in 240W, getting close to the limit of a general source. A GTX Titan X, for example, may consume 250W alone, beyond a generic power supply. In this case, you should opt for a source of at least 600W. Thus, an important tip is never work together to assemble a "on edge" of the power supply. Clearance for processing peak, as when running heavier games is necessary. If the calculations, the set is consuming around 359W, don’t buy a source of real 400W, leave soon for a 450W or 500W up. Look for power supplies to inform the values in Watts as "real." In addition, you may prefer the best known brands such as Corsair, Seasonic, Thermaltake, among others. The more unknown is the brand, but "slack" in watts your PC will need. 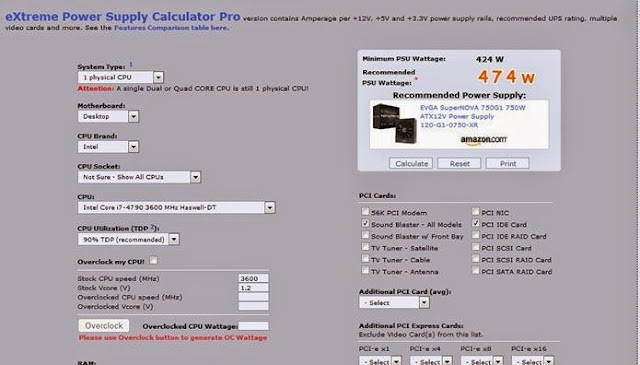 There are websites that help you calculate the amount of watts that your game PC will need, even before you ride it. With this, you can get a good idea of energy consumption of your games machine. These are very useful tools, especially for those who will ride stocky computers with two or more nested video cards in SLI or CrossFire.